Elizabeth Woodson was my paternal 4th great grandmother. I know very little about her. She may have been born around 1800, but I don't know where she was born or who her parents were. She married my 4th great grandfather Solomon Jones on September 18, 1816, in Jones County, Georgia, and is the mother of my 3rd great grandmother Harriett B. Jones (born around 1818). Elizabeth had died by 1821, as her husband married Sarah Davis that year in Laurens County, Georgia. 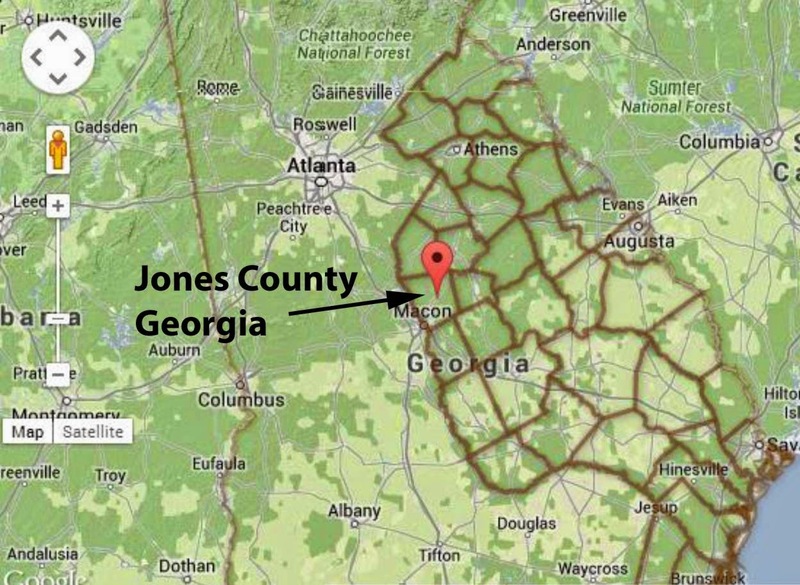 Jones County, Georgia, as of January 1, 1816, where Elizabeth Woodson and Solomon Jones were married on September 18, 1816 (map from http://www.randymajors.com/p/maps.html). There's a Solomon Jones in the 1820 Laurens County, Georgia, census. There are one male and four females under the age of 10, two females between 10-15, three females between 16-25, and one male over 45 years and one female between 26-44. This doesn't sound like "my" Jones family. The older male seems to be too old. I have Solomon's birth year as 1790. He would have been 30 in 1820. The older children could be relatives rather than his and Elizabeth's children. Since it's unknown exactly how old the five children under ten were, some of them could be Elizabeth's, but I doubt all of them were hers. By 1820, she and Solomon had only been married for four years.